Over the years I’ve discovered my students just don’t respond well to walking into class and kicking off a discussion cold turkey. Their heads are still all over the place, thinking about their last class, the friends they were talking to during passing, their weekend plans or their problems. They NEVER seem to use the walk to my class to mentally review the reading. (Why is that?) So if I kick off discussion by asking a question first thing, silence and awkward eye contact avoidance is all I will get. Except of course for that one super student who always has something to say. Which really doesn't help. 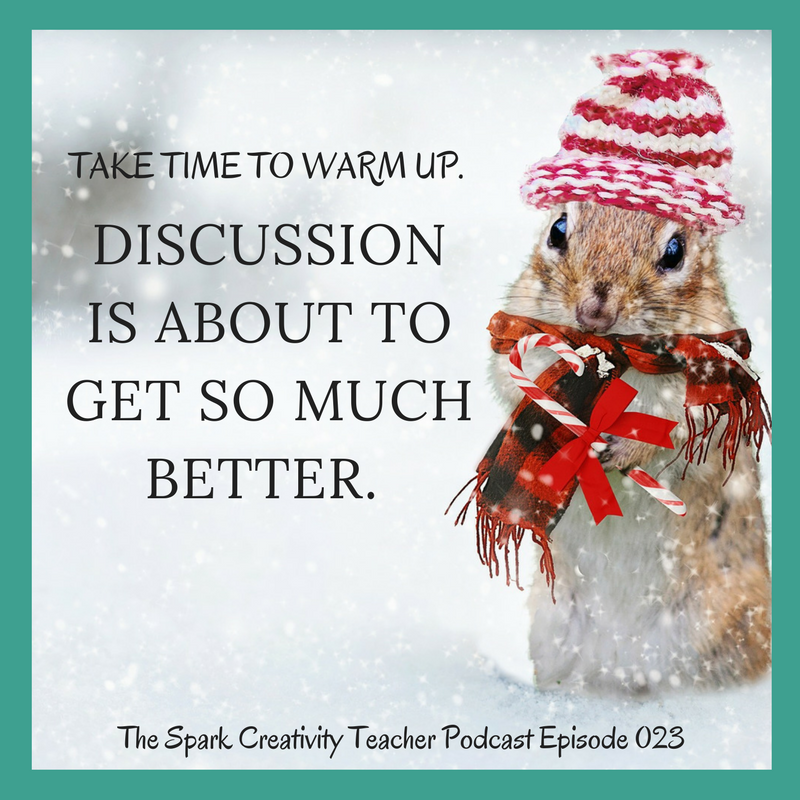 So in today's podcast (and post) I’m going to share with you a whole bunch of different activities and strategies you can use in the first five or ten minutes of a discussion-based class to get your students warmed up for a truly high quality discussion. In my experience, these tools make a big difference. The other main strategy I use to create a good environment for discussion is the Harkness method. If you’re interested in learning more about that, check out Episode 008. 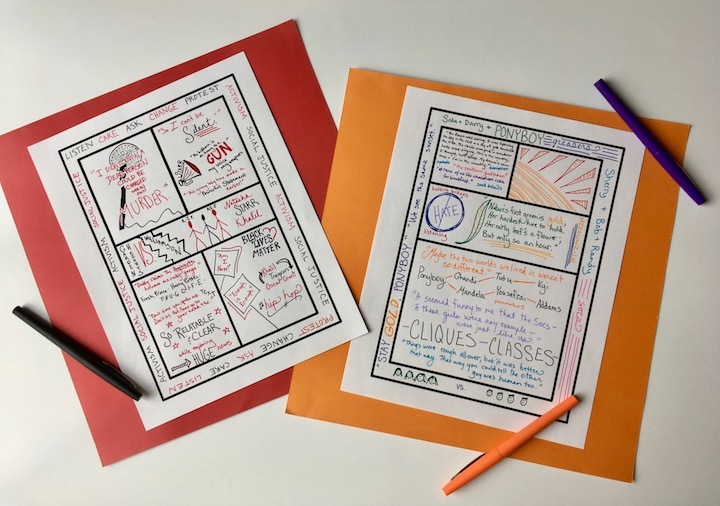 If you'd like a poster of twelve discussion warm-up ideas to hang by your desk, you can sign up for it below. You can print this out and reference it as you get rolling with this strategy. 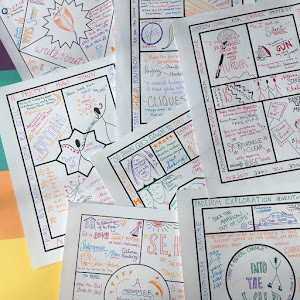 Before you know it, you’ll be brainstorming them easily as you lesson plan. Who doesn’t love the old “turn to your partner and….”? This is a classic English teacher move, an oldie-but-goodie. I use this before discussions all the time, but I also like to use it in the middle to combat silences or give lots of students a chance to share their opinion when things are getting heated. You can always stop a discussion for another mini-warm-up or break-out session of think-pair-share. Then, begin the discussion with an easy extension from the partner activity. No surprises needed. This strategy gives quieter students a voice. This is especially important for students who take longer to formulate their thoughts in English. If you work with language learners at all, this can be very helpful to them. When you throw out the topics from the silent discussion, most students have already given them some thought and are ready to speak. Though we often want the warm-up to encourage higher level thinking, sometimes a reading has been long and complicated, or some time has passed between the reading and the discussion. In these cases, a review activity can be helpful. This strategy gets students to think back through the reading so they are more prepared to begin on any question. Helps students incorporate citation into their discussion. This is an important thing to keep reminding them about throughout the year. Invite students to find important quotations on a certain theme or quotations to show change or development in a certain character. Remind students as you segue into discussion that you particularly want them to focus on using their text as evidence as they discuss the reading. 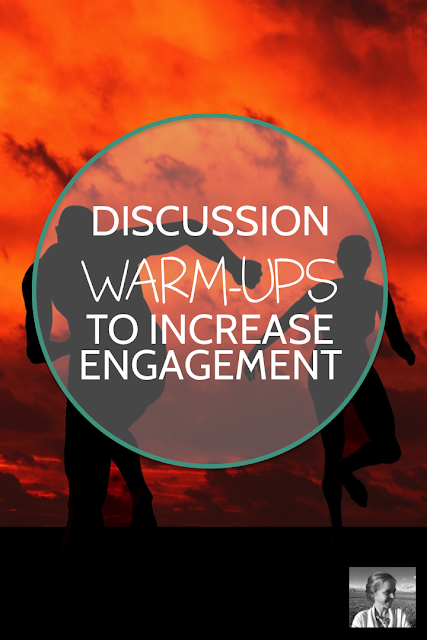 This warm-up brings a more complex layer to the discussion and can help inspire critical thinking. After you share something closely related to the text, have students either respond in writing or in pairs or small groups. Then kick off the discussion with a connecting question between what has been presented and the reading. Curious about episodes 001-022? Head over to iTunes and subscribe! Click Here To AP DSC 12370 Posts Notification.